Our Associate Artists programme provides ongoing support to artists who have been commissioned by Fermynwoods. The approach is based on one of the strengths of the commercial arts sector and its long-term relationships with artists, enabling them to develop their practice within a critically supportive environment. The current iteration is a mentoring programme for interdisciplinary artists wanting to develop their practice in rural spaces, alongside our Artists in Residence at Fineshade Wood and supported by Fermynwoods staff. Artistically we are exploring the notion of “Return of Investment”, as we work with artists over a long period of time and in diverse contexts, leading to deeper and more productive relationships between the artists and the organisation and between artists and audiences. David Blyth is considered to be one of the most original, inventive and thought-provoking young artists working in Scotland today. In 2003, he represented Scotland in the Venice Biennale and in 2005/06 he was Town Artist in Huntly. David’s practice predominantly concerns itself with an interrogation of Human-Animal relations within the natural history museum context. 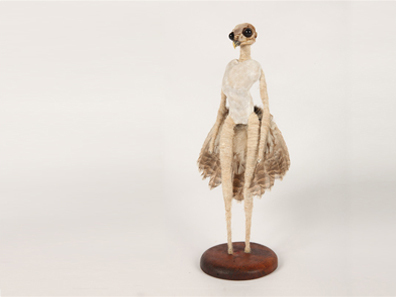 The research is informed by a sustained engagement with the craft skills of taxidermy and draws upon narratives of folklore, shamanism and cultural memory to propose alternative methodologies for ‘knowing the animal’. 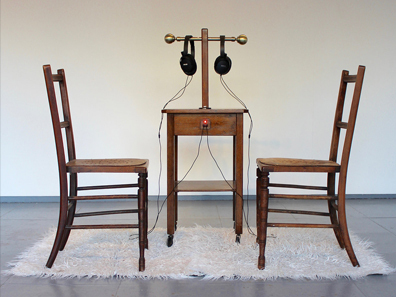 Anna Brownsted works with sound, text, installation and performance. Her practice plays in the space between fiction and reality, merging the unexpected with the everyday while exploring dynamics of trust, uncertainty and possibility. Her work is often interactive, using a combination of invitation, immersion and disruption to situate participants in temporary or transitory locations – both real and virtual. Originally trained as a theatre director, her process is led by an ongoing interrogation of ‘liveness’. Anna lives and works in Cambridge, UK, and recently exhibited in Actions, the opening exhibition of the new Kettle’s Yard, Cambridge. Virginie Litzler is a French artist and photographer based in Brussels, with an MA in Photography from The Royal College of Art. 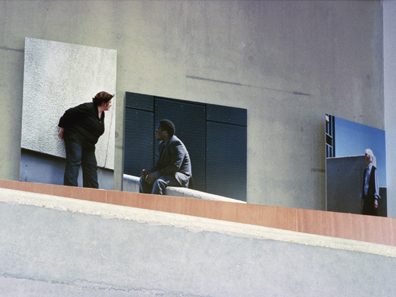 Her work is concerned with the dialogue between people, urban spaces and motion. She observes and interacts with people in their everyday lives; exploring moments between improvisation and staging, how elements of the body, such as the spine, phalanges and other bones, communicate with gravity. Virginie’s resulting installations — often existing in a state of equilibrium — explore the shift that occurs between seeing a photograph, its constituents and its surroundings. Virginie has recently exhibited at 57th Venice Art Biennale. James Smith lives and works in both London and Northampton and studied MA Photography at the Royal College of Art 2010/12. 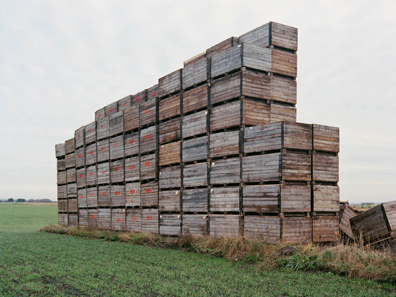 James’s research and practice is a debate regarding the architecture of territory and the projection of politics, through aesthetic and cultural definitions of geographic positioning within the English landscape. The articulation of territory through form can be seen as a presentation of intuitive structures that radiate and demand their coexistence within a landscape.